On the serene, isolated west shore of St. Simons Island, the ruins of an 18th century settlement stand quiet testimony to a once flourishing community. A powder magazine overlooks Frederica River, a remnant of British occupation in the New World. Fort Frederica was established in 1736 by James Oglethorpe to protect the southern boundary of his new Georgia colony from the Spanish in Florida. The excavated foundations of structures remind visitors that the planned community of Frederica served the military garrison quartered there and housed a population of 1,000 from 1736 to 1758. Oglethorpe's vision in establishing Frederica was rewarded in 1742 during the War of Jenkins' Ear, when Spanish forces from Florida and Cuba landed on St. Simons Island. Oglethorpe's attack on a Spanish reconnaissance party at Gully Hole Creek led to the battle at Bloody Marsh. 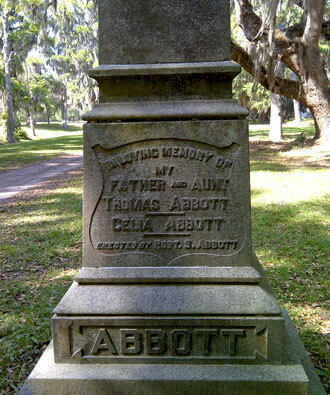 Despite the name, casualties were light, and the Spanish continued their campaign on St. Simons. Clever deception on Oglethorpe's part convinced the Spanish to retreat from Georgia seven days later. After the war, the British regiment disbanded, leading to the eventual decline of the civilian population and the town itself. 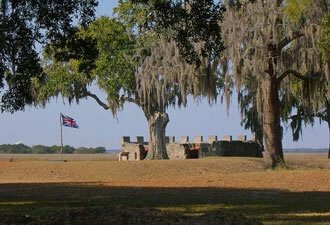 Two centuries of fire, neglect, and the reuse of building materials left the fort and town of Frederica nearly barren. Few structures remained to tell the story. Archeological investigations, begun in 1947, have uncovered the broad outlines of Frederica and many small treasures left behind by residents of this short-lived community. Using 18th century maps and journals as a guide, archeologists have unearthed many sections of the fort and town site. The resulting excavations provide great insights into Frederica's past. Today you can stroll through the ruins of the former town site, marvel at the huge trees covered in Spanish moss, and wander the grounds for a glimpse into Frederica's past and colonial history. Stop by the visitor center, open daily from 9 am to 5 pm, to pick up the park brochure and explore museum exhibits and artifacts. The 23-minute film, “History Uncovered,” shares a good overview of the park. Be sure to ask about the free audio tour before you set out on any self-guided exploration. The Bloody Marsh Unit of the park commemorates the site where the 42nd Regiment of Foot and Highlanders from Darien defeated a regiment of Havana Grenadiers. This battle was deemed essential in ending the Spanish claim to Georgia. This area, on St. Simon's Island along Demere Road, is open from 8:30 am to 4 pm. Centrally located on St. Simons Island, Fort Frederica is about an hour and a half drive from either Savannah, Georgia, or Jacksonville, Florida. The park is open year-round except for Thanksgiving, Christmas, and New Year's Day. 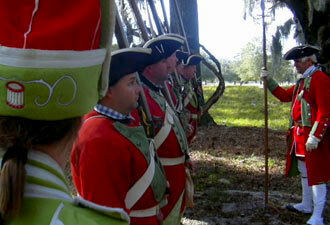 Fort Frederica offers tours, programs, and events throughout the year. Contact the park for details.